San Pedro Police continue investigating the tragic murder of 19-year-old Horace Cadle Jr., with no leads to his killer(s). Cadle’s lifeless body was found on Blake Street shortly before midnight on March 13th with multiple stab wounds to his chest and neck. According to police, they initially detained a few suspects but were later released. Additionally, surveillance footage shows Cadle walking on the said street with what appears to be drunken friends, but the area where he was allegedly attacked has no surveillance coverage. Police are further speculating the motives behind his killing, given the fact that he was stabbed 28 times. 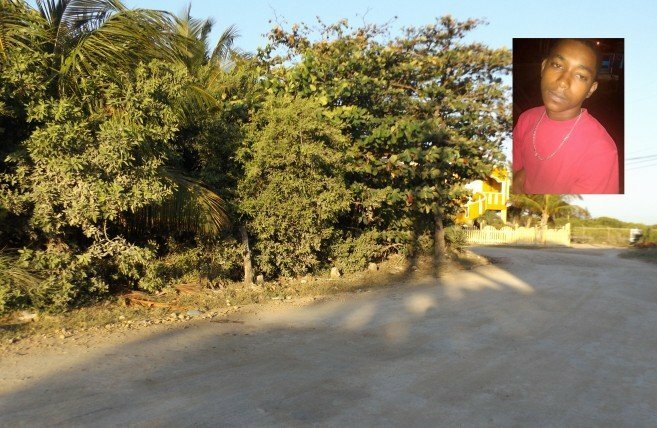 Cadle, a Belizean laborer, lived with his family by Marina Drive south of San Pedro Town, but according to witnesses, he used to frequent Blake Street. A couple of these persons who are familiar with Cadle shared that every night, he would walk up that street alone or sometimes in the company of other persons. On the night of his demise, three Hispanic-looking men were observed walking in the opposite direction of the street, and minutes after the police were called when a driver discovered the body on the road. Police reported that upon arriving at the scene, they observed Cadle dressed in a grey t-shirt and a red and grey 3/4 pants, lying in a pool of blood. He was transported to the Dr. Otto Rodriguez San Pedro Polyclinic II where Dr. Fatima Oliva pronounced him dead at 12:56AM.